I love coffee!! A lot of people say they love coffee, but really it's just the caffeine they are addicted to. Not so with me. I really love the taste of pure unadulterated coffee. No cream. No sugar. And definitely no "flavors"! I want nothing to get between these taste buds and that wonderful taste and aroma of black coffee. In fact, once I savor my one-to-three cups of "fully leaded" coffee, I then switch to a good brand of caffeine-free just to continue enjoying the deliciousness of the coffee flavor. Coffee is a very important part of getting my mornings off to a good start. 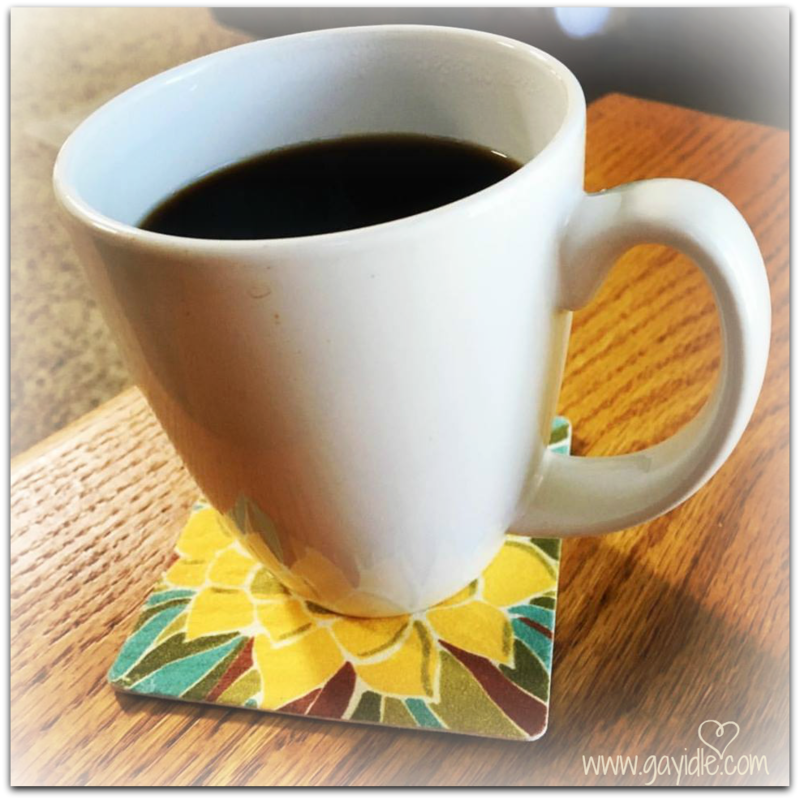 So pouring a hot, steaming cup of coffee is the first thing I do …that is unless the Hubs leaves the house before letting the dogs out and getting them through their morning routine. In that case, of course, I have to take care of their needs first. Once done...I pick out one of my favorite mugs and pour that first cup, just basking in the delicious aroma as I carry it up the stairs to my office...to my big comfy chair, where I curl up with my coffee, reading glasses, and my bible. Now at this point, I would love to say that nothing comes between me and the "pure unadulterated " quiet time I have with the Lord, with His word, and in prayer and meditation...and some mornings that is absolutely true. However, my office can be a whirlwind of distraction with unfinished projects, to do lists, books, books and more books; just waiting to be tackled, checked off, and devoured (I am a voracious reader). Not to mention the noise and flurry of whatever new "adventure" my puppy, Clair, is getting into. So...some mornings the distractions lead me away from my intended goal of spending time in the Word, listening for His voice, and praying to have "ears to hear and eyes to see" what the Lord has for me. Instead, my ears and eyes are being bombarded with Clair bringing me some new "toy" she has just discovered from the bathroom trash can, and now the utterance, "dear lord", is not exactly the beginning of a heartfelt prayer! So I contemplate this morning...I absolutely love my morning quiet time and I really do hate when I let distractions interrupt that time...but do I crave those times as I would that first cup of coffee? Do I "wait in expectation" as David says in Psalm 5:3. To hear God's voice in answer to my prayers? I don't want anything to dilute the pure taste of my coffee. 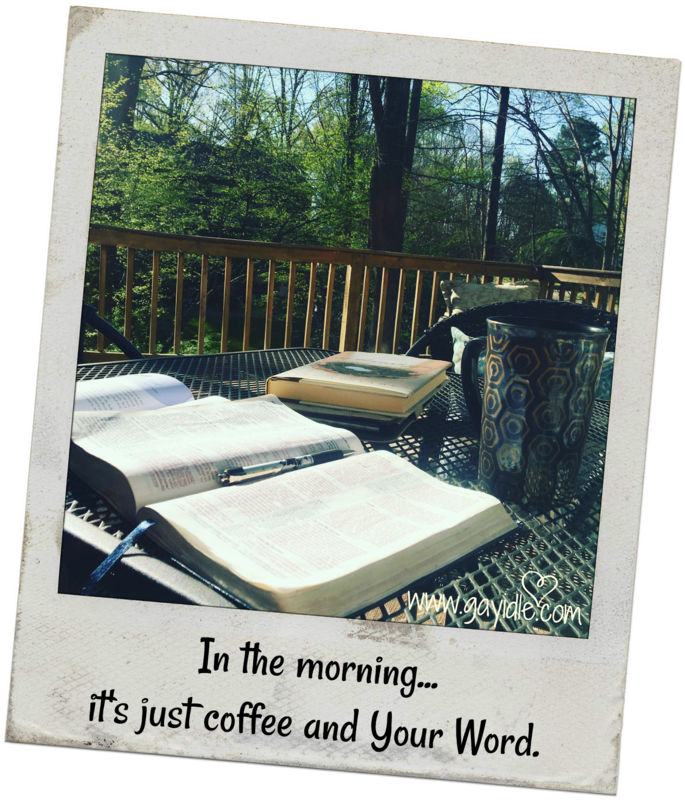 Am I allowing the silly distractions of my mornings to dilute my time in the Word, in quiet contemplation…listening for His voice? As I have stated before, I named this blog "Captive Heart" because that truly is my greatest desire...to have a heart that is captivated by the grace and love of my Lord and Savior...a heart that is not distracted by the busyness and noise of this world. I want to savor all that God has for me...to have eyes to see and ears to hear what He has in store for me this day and every day! I want to be used by God in whatever way He chooses to bring love and healing to those He puts in my path. I want to hunger after His Word. I want to say with the psalmist, "How sweet are your words to my taste". So, with coffee in hand, I will continue to my office each morning with expectation. How about you...how do you begin your day? For me...to savor the pure undiluted/unadulterated time with my Lord...ahhhh...now that hits the spot!! Thanks for your kind words. I'm so glad you stopped by the blog! Great post! I love the thought of savouring the taste of God's Word like we would a good cup of coffee. Time with him is what we really need to get us going each day but we definitely have to be intentional about protecting that time from other things that might get in the way. So true! I find that I have seasons of abundance in time in His Word and times of struggle in making it a priority...but my heart longs for HIm. Thank you so much for stopping by my little corner of the world Lesley! I pray that God blesses your day with abundance in your connection with Him!